It’s Fri-YAY! For some reason it felt like a long week up to this point… maybe it’s because our evenings are now so full and baseball season has officially begun, so we are out of the house from morning until night. I have to tell you, as “busy” as it is, I don’t mind it so far! The weather has been incredible; it’s been clear and sunny and HOT outside. So if the weeks slow down a little or feel long at this time of year, I’m all for that. Being outside on a warm evening watching your child’s little league game… well, it’s a pretty great place to be! And this HOT weather we’ve had the last couple of days has me thinking long and hard about our deck for this season. 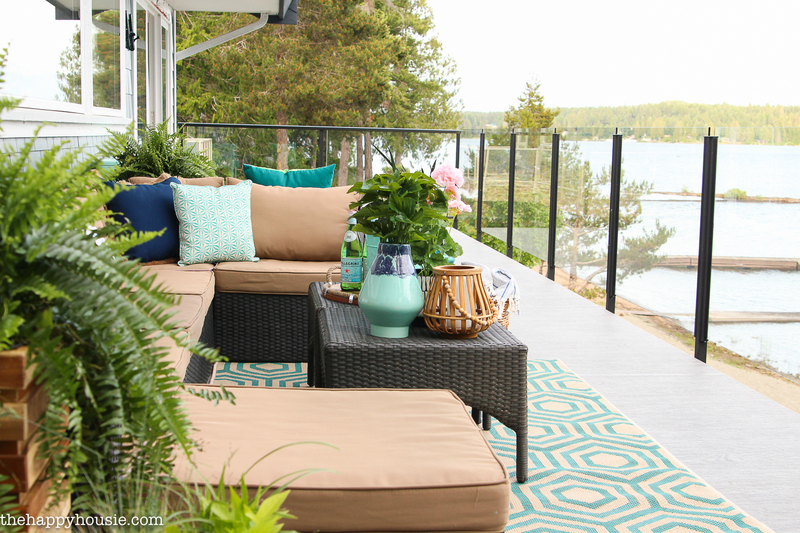 Today’s faves are all about gorgeous decks and patios! It seems that our sectional set is not holding up as well as we would like. We store it under the deck in the winter to protect it somewhat from the elements but several of the pieces are starting to chip and break (like, the faux rattan materials is actually breaking away from the frame in large chunks). It’s really frustrating because we only bought the set a few years back, and had hoped it would hold up much better then it is! I’m thinking it might be because we have it out all summer in full south facing sun. The cushions are starting to fade badly as well, from the brown colour they came in to a sick pinky tone. Yuck! I’m going to spend some time today to see how much of it is still usable (hopefully most of it! ), and I must confess that I’m not sure if I would buy a set that is made of the same material again. Or if I did, I would make sure that it was a stronger and sturdier faux-rattan than what our set is made of. 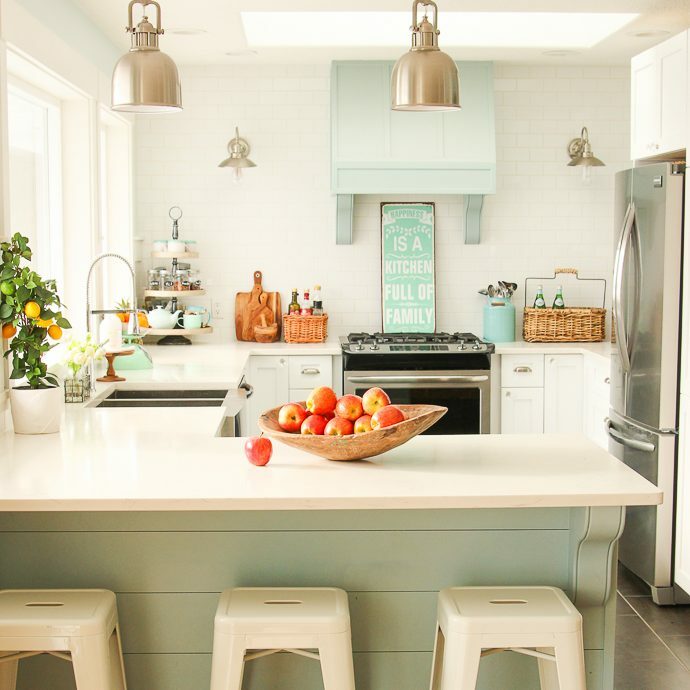 I really really wanted to order a wooden set, similar to the one in my inspiration board, above, but the hubs is quite concerned that it also won’t hold up well in our wet west coast climate (we basically have to overwinter our furniture outdoors, though under cover, and it’s still very damp out there all winter). Before and after screen in-porch makeover with a porch swing at Unskinny Boppy. How fun is this porch swing?! 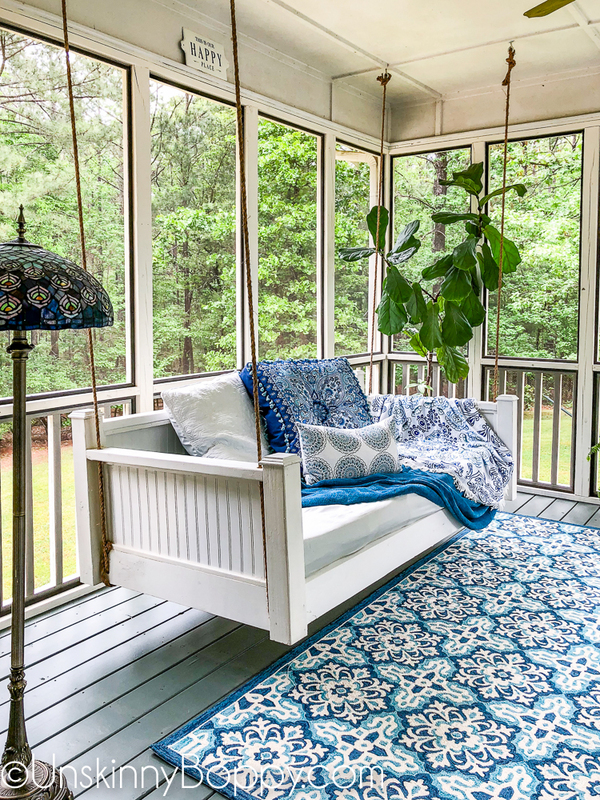 And I love her blue cushions and throw (the other side of the porch is really pretty, as well!). 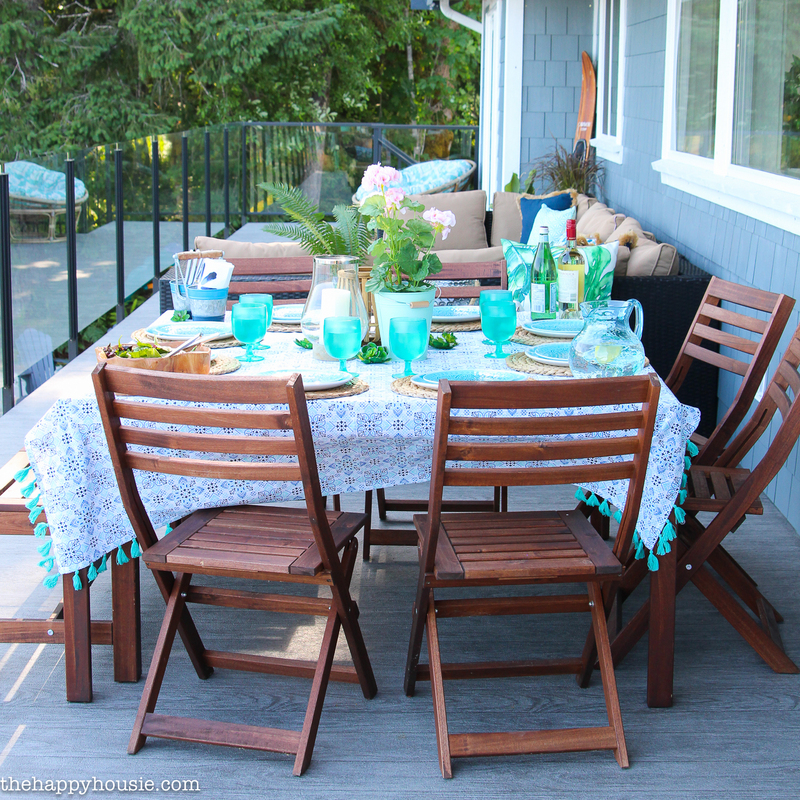 I also love the cheery summer deck shared as part of this home tour at Inspired by Charm . The combination of the sectional and the rattan arm chairs is a pretty mix. Plus, all the summer flowers! I’m so excited about summer flower pots! 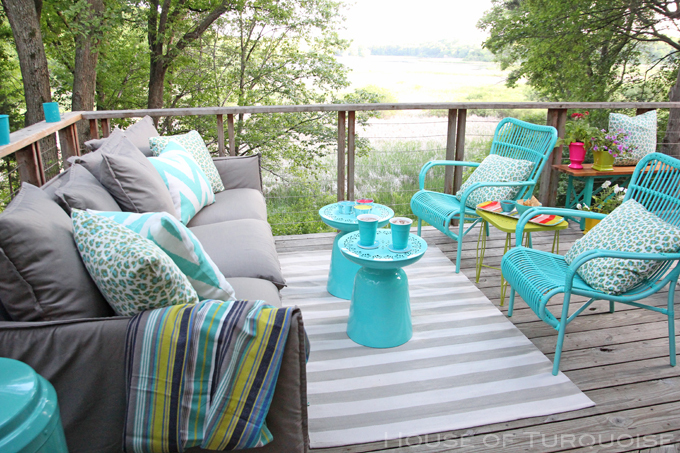 The mix of chairs and sofa, above, is also like Erin’s deck tour over at House of Turquoise – the combination of the sofa and the different chairs makes for an interesting outdoor space. 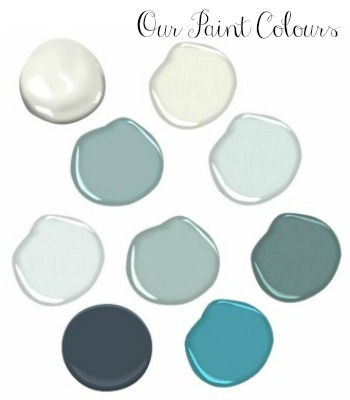 Plus, that colour, right?! 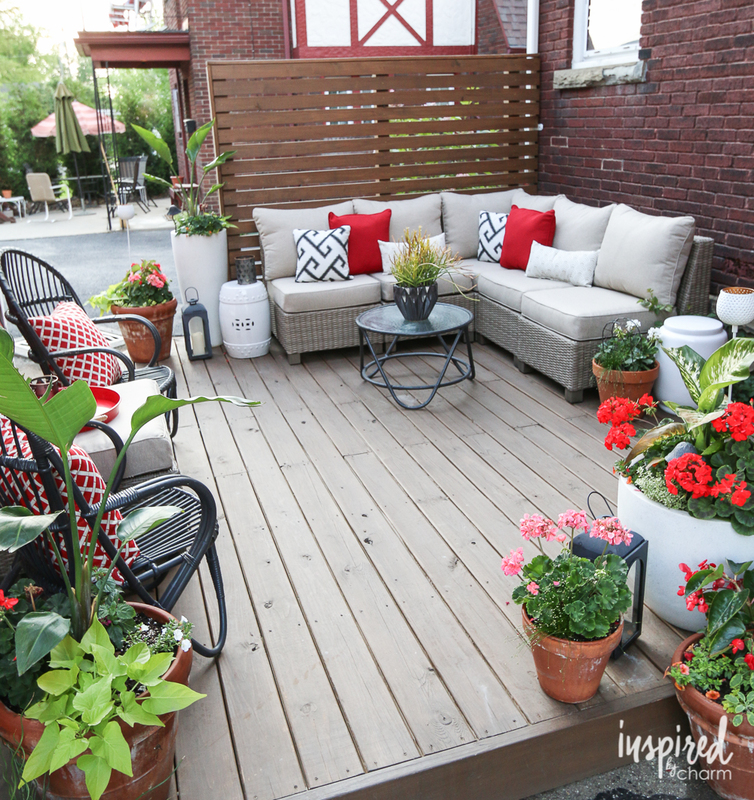 I absolutely adore the charm of Annie’s patio over at Zevy Joy. Look at the cement! Isn’t is so pretty? And her simple sectional has me inspired for our next one. I love the simple lines of it with the big comfy looking cushions. The copper fire table is so pretty, as well. So as the fog lifts where we are, we need to start our taxes… ugh. 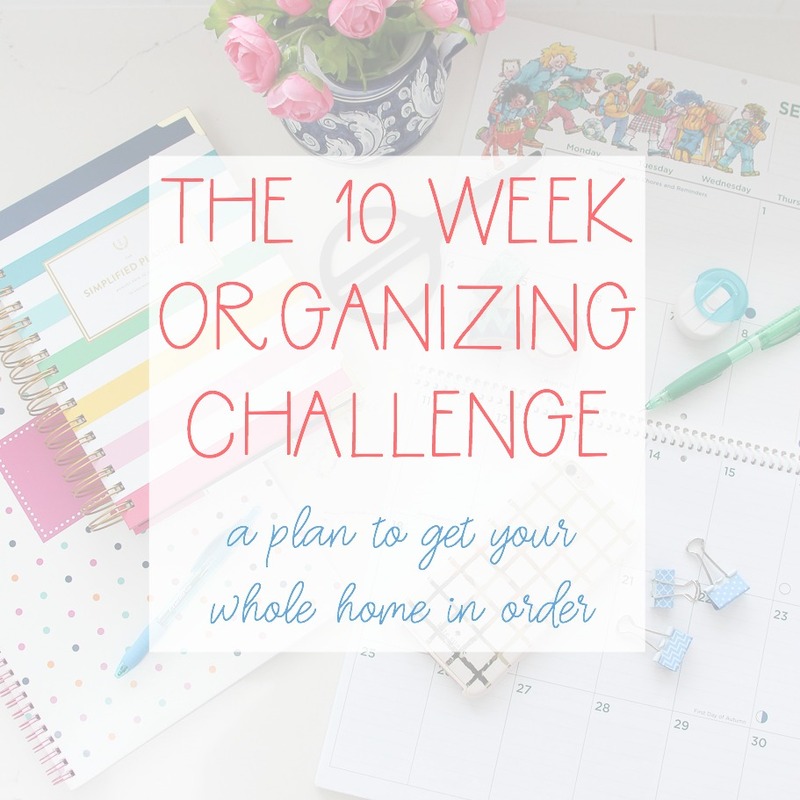 But I’m hoping we whip through it so that I can tackle some projects in Finn’s room makeover and then get outside and get some of our deck furniture setup. We may or may not quite make it to that point, but it’s coming soon, and I can’t wait! How about you? 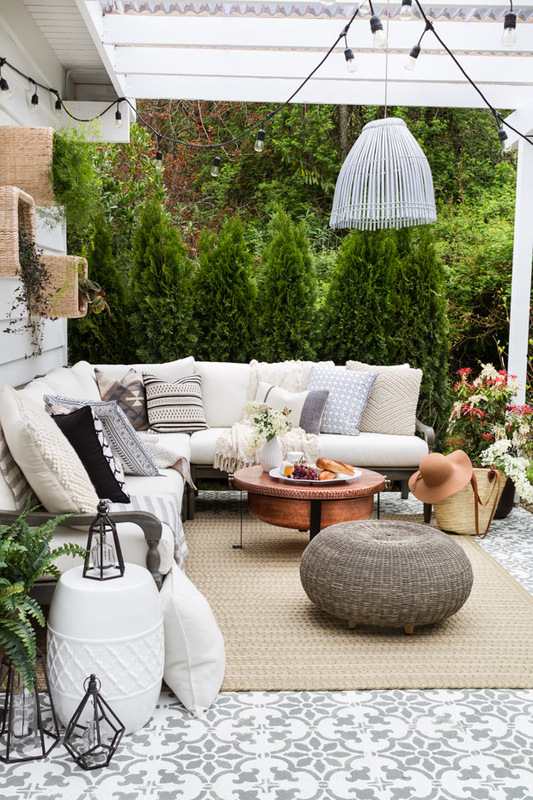 Have you setup your outdoor space yet? 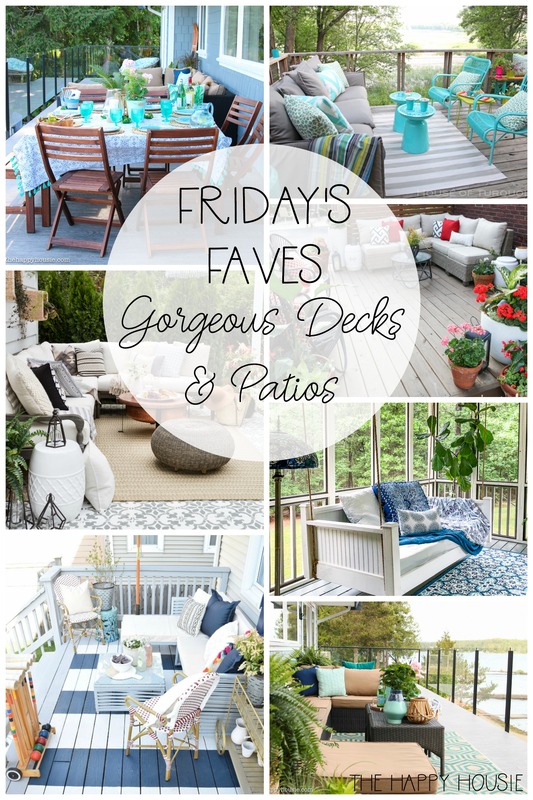 These porches and decks had some really good designers get a hold of them! The decor is really nice. 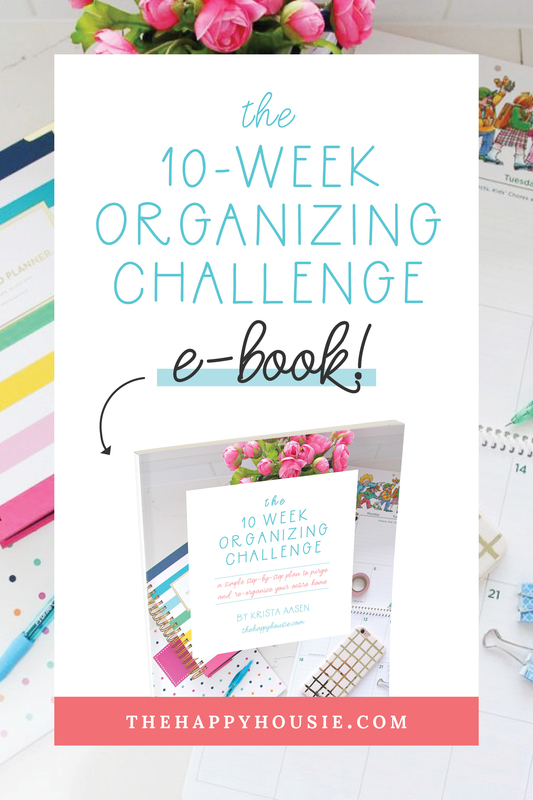 Good article idea in general, I enjoyed it! Oh my! I don’t know where to start these decks are beautiful. 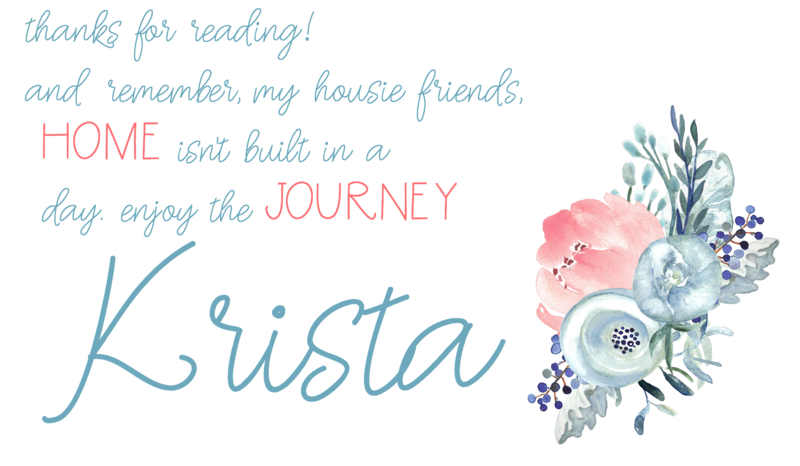 I love the Inspired by Charm deck, Nesting with Grace deck, and I love the first deck (which I believe is yours right?). I also love elements of the other decks too. These decks look pretty and they look like they’d be a wonderful place to relax. 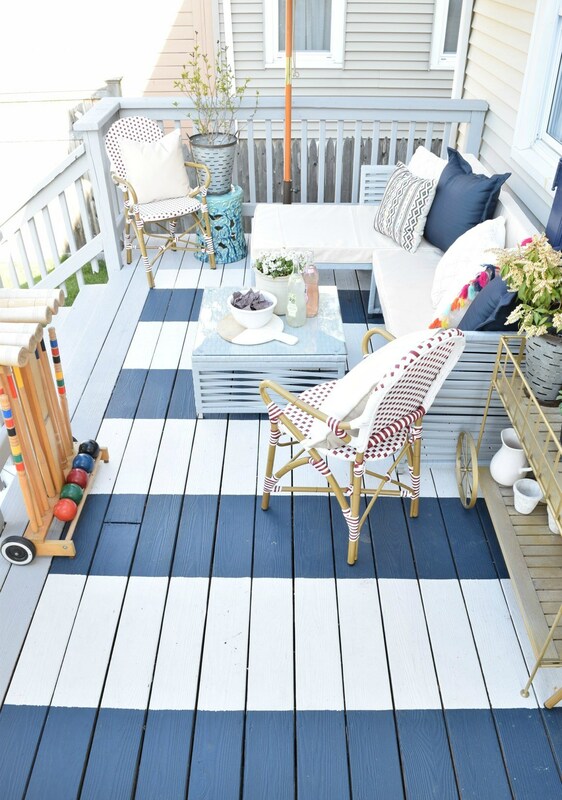 Also, I’m glad you mentioned about the faux rattan not holding up I’ll keep that in the back of my mind whenever I think about getting deck furniture. I’ve been planning our new deck setup the past few weeks. 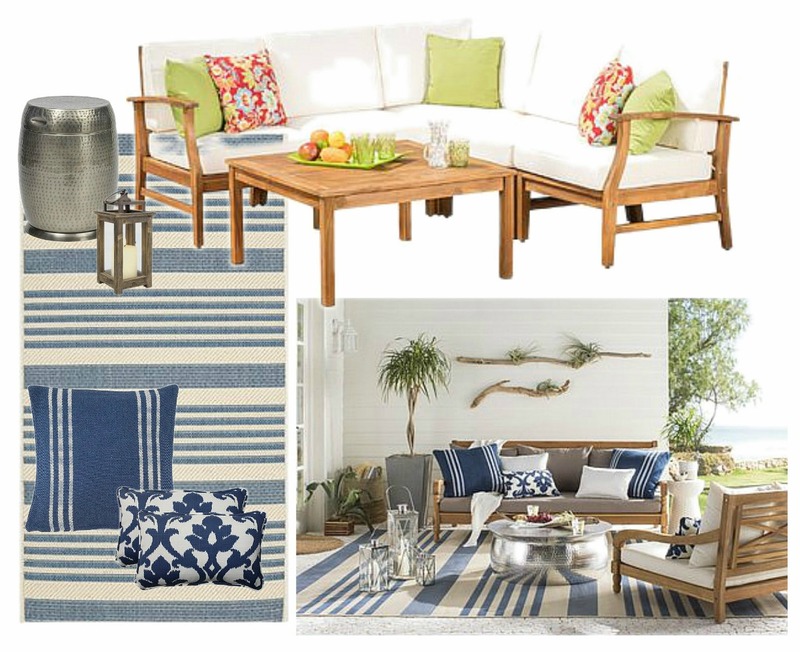 I’ve decided that my hubby is going to build me our outdoor couch, end table and coffee table. 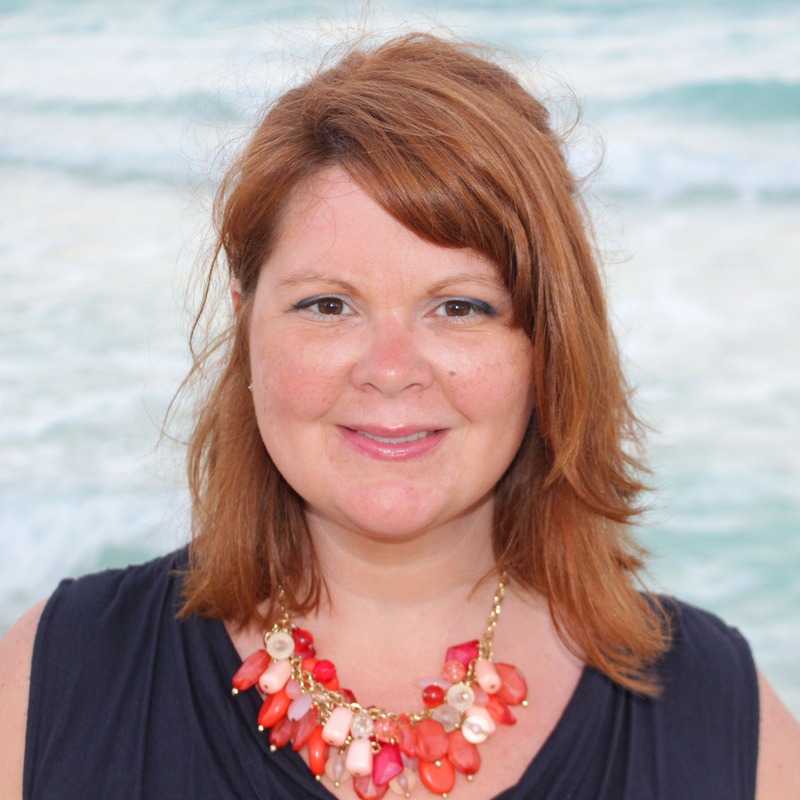 I checked out way days by Wayfair and didn’t see any fabulous deals. Perhaps it was just me. I find their US prices to be much more pleasant to the pocketbook than their canadian prices. It’s just not the exchange rate, most things I check out are at least double the price. 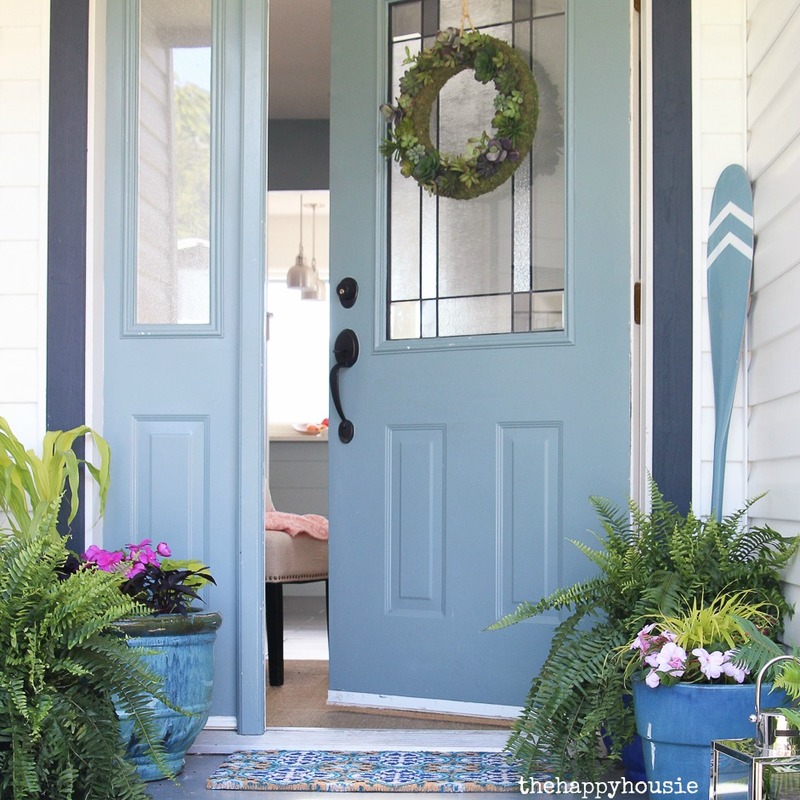 I love looking at porches. I just posted pics of mine from last year. Yours looks so pretty and I love the blues.